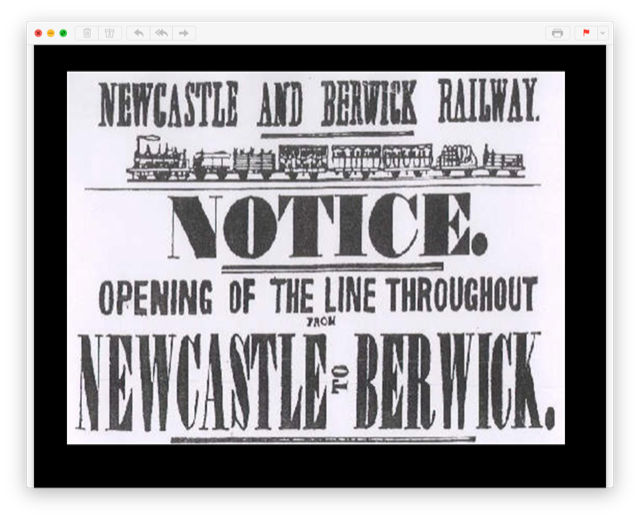 On 1 July 1847 the opening of the final section of the Newcastle and Berwick Railway, from Morpeth to Chathill, brought North Northumberland into connection with a rapidly expanding national rail network. Since 1844 this had already made it possible to travel from Tyneside to London in the space of a single day. The talk will consider how the new railways opened horizons for people living in our region, and will give particular attention to what it was actually like to experience long distance travel by train in the 1840s and 1850s. Richard Sharp was born just in time to be part of a now-lost world. Steam trains and Victorian pennies in pocket money evoked his early sympathy. 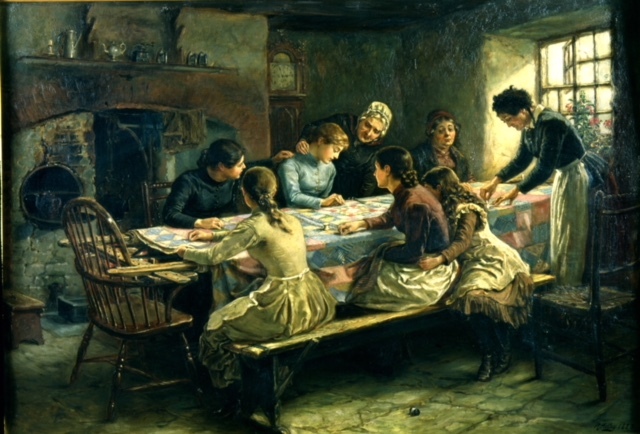 Having experience their loss with a deep sense of melancholy, he went on to spend as much time as possible in the past, as a jobbing antiquary in various guises, dabbling mainly in ecclesiastical topics tinged with Jacobitism and as a collector of engraved imagery-- the visual record of a pre-photographic age. He has recently returned to his earliest enthusiasm and is assembling material for a detailed reconstruction of the journey advertised on a railway poster issued in 1846: 'CARLISLE to LONDON in THIRTEEN HOURS'. Jon Radgick had a London career as a Chartered Surveyor involved in the dark arts of auctioneering but escaped to Northumberland to pursue his lifelong interests in wine and old motor cars. He bought the garage which was originally Lee's Garage in 2000 and has run it himself under the trade name of Old Motor House for the last eight years. He is a member of the Society of Automotive Historians in Britain and was for several years Vice Chairman of the Aston Martin Heritage Trust. Ms Allan was formerly Keeper of Social History, Beamish Museum. Margaret is a driving force behind the preservation of records of the Cheviot way of life. 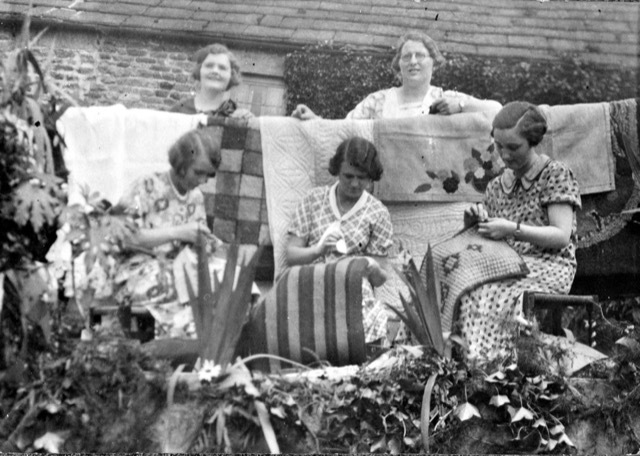 Her talk, Sheep Tales and Spinning Yarns and accompanying DVD will bring to life the rich rural heritage of Northumberland collected and preserved by Margaret and colleagues and her mother Sylvia Armstrong, founder and curator of the Armstrong Household and Farming Museum at North Charlton. 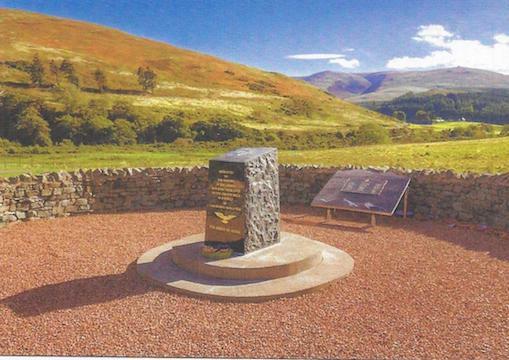 Rothbury Local History Society has invited ABLHS and Glendale History Society to take part in a visit to the College Valley Cheviot Memorial to airmen of WW2 on Thursday 4 July 2019. We will meet at 10.30am sharp and be taken by mini-bus from the car park at Hethpool to Cuddystone Hall. Following coffee on arrival, Group Captain Tim Willbond DL, will give a talk on the history of the Cheviot Memorial to those who perished in a total of 19 crashes in the area during WW II and to the shepherds who saved many others. Squadron Leader Chrys Murphy MBE will then describe the educational legacy of recent work to refurbish the Memorial. This will be followed by a visit to view the Memorial itself and by a short act of Remembrance. After a lunch break (please bring a picnic), there will be a second talk about the College Valley itself. Alternatively you may take a guided walk to one of the crash sites at lunchtime. We will then be ferried back to our cars at Hethpool at around 4pm. The cost is expected to be in the the range of £6.00 per person. Today the border lands are dotted with the ruined stumps of fortified houses and farms, which symbolise hundreds of years of violent struggle for ownership of the land, from the Wars of Independence begun in 1286 until the Union of the Crowns in 1603: struggles so ill-managed by government that they often resembled nothing more than murderous family feuds. Hugh Dixon, MBE, FSA, a former Senior Inspector of Historic Buildings in Northern Ireland, National Trust Curator for the North East, and Chairman of the Bewick Society; a member of Durham Cathedral Fabric Advisory Committee, he chairs a similar group for Hexham Abbey and is Secretary of the Northern Architectural History Society. The renowned 18th century wood engraver, Thomas Bewick (1753 - 1828), lived all his life in Northumberland and Newcastle. His contribution to British art and awareness of the natural environment was immense. It is not well known that he visited Eslington Hall, Whittingham, on his travels and was friendly with one of the Liddell family, an image of whose Newfoundland dog appears below. In 1789 he walked to Chillingham to make drawings of the Chillingham bull for a commission. The image shown below of the bull is one of the most well known of his huge output of wood engravings.